Mike Zahalsky -- 7 things to know about the Survivor castaway competing on Season 35. Former Survivor castaways Parvati Shallow and John Fincher have gotten engaged. 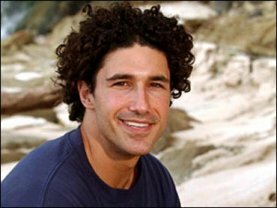 Survivor winner and former The Amazing Race participant Ethan Zohn is now a married man. Survivor winner and former The Amazing Race participant Ethan Zohn has gotten engaged. Ethan Zohn and Jenna Morasca have ended their relationship after dating for a decade. Ethan Zohn and Jenna Morasca said Monday they have broken up after a decade as a couple.